I’m so excited about this post today! We are going to be talking about WORKING WITH TRAYS! Yes, trays are very exciting!!! But just don’t think tray, as in, plastic tray… think wooden crate, round low basket, acrylic box, silver plates with interesting edges, and even a great cutting board! Learning to use trays to make gorgeous vignettes takes a flat surface from boring to beautiful! Trays corral items and let them tell a little collected story. Trays are boundaries for objects that would look cluttered if not put in a tray. Trays are like magic! Creating vignettes used to be very hard for me. But with a little practice and a few tips… they are easy to whip up now! So today I’m sharing tips and tricks for creating a vignette in a tray! I just love these girls and their blogs!!! 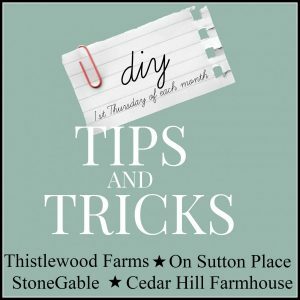 Make sure you check out their take on WORKING WITH TRAYS at the bottom of this post! Today’s vignette is very neutral and tactile and low. It has a modern, rustic, industrial feel. 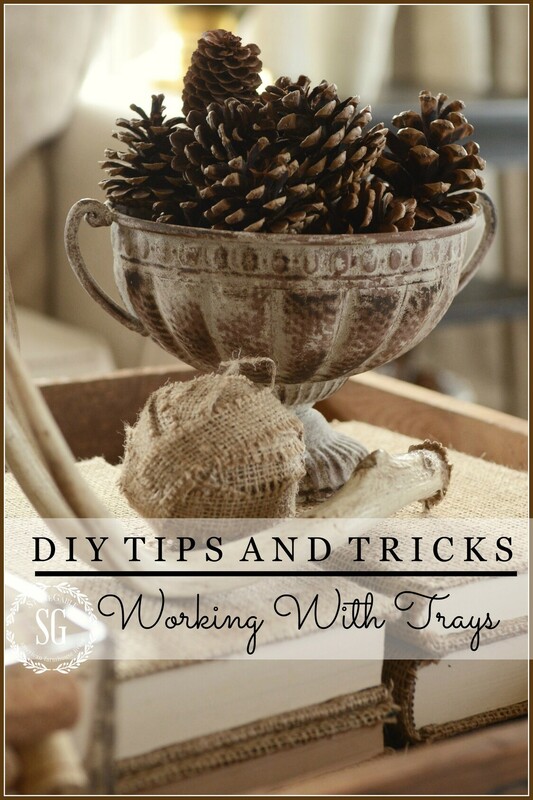 These tips will work for almost any tray vignette… so you can create your own!!! Grab a tray. 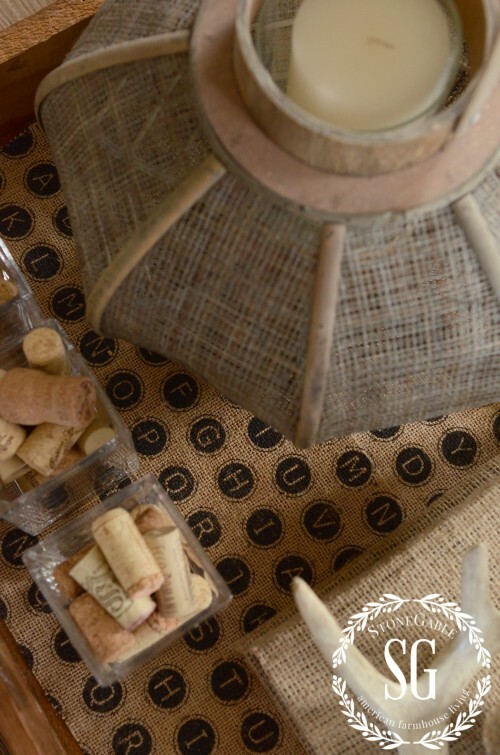 Any tray… round, square, rectangle, wood, woven, plastic… and let’s begin! I used a big Cudahy Meat packing crate turned tray. I Mod Podged a typewriter key burlap print to the bottom of it. To see the tutorial, click HERE. I love its rustic and worn look! Now let’s layer some items from our homes in the tray! Shop your house… see what you can find. You don’t have to be fancy or elaborate. If you pay attention to many of the trays in magazines and on line you will be shocked to see how simple they are and the simple things they use in them! So our #1 tip is LAYERING! One no-fail way to layer is to stack books and add thing on top of them. This gives our vignette height and interest. I layered two small stacks of books that I covered in burlap. 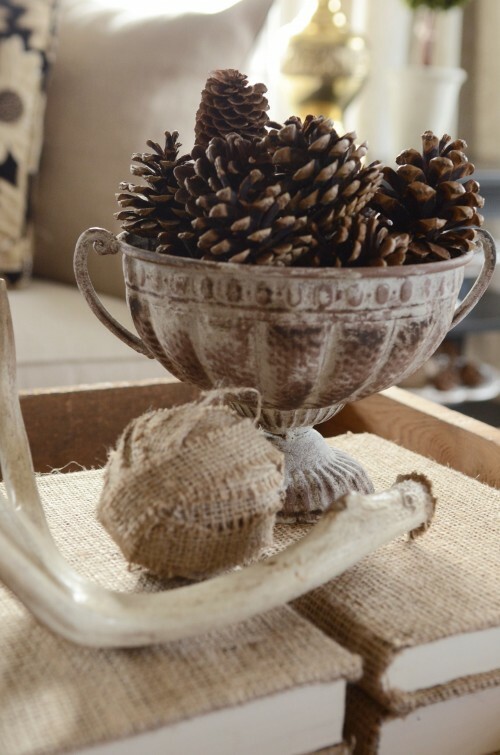 I topped the books off with a rusty pedestal bowl filled with pinecones, a large deer shed and a burlap ball. Here’s another tip… grouped items look better in odd numbers. Three is the magic number! Three things grouped together lets your eye wander between them and our eyes think that is very pleasant! 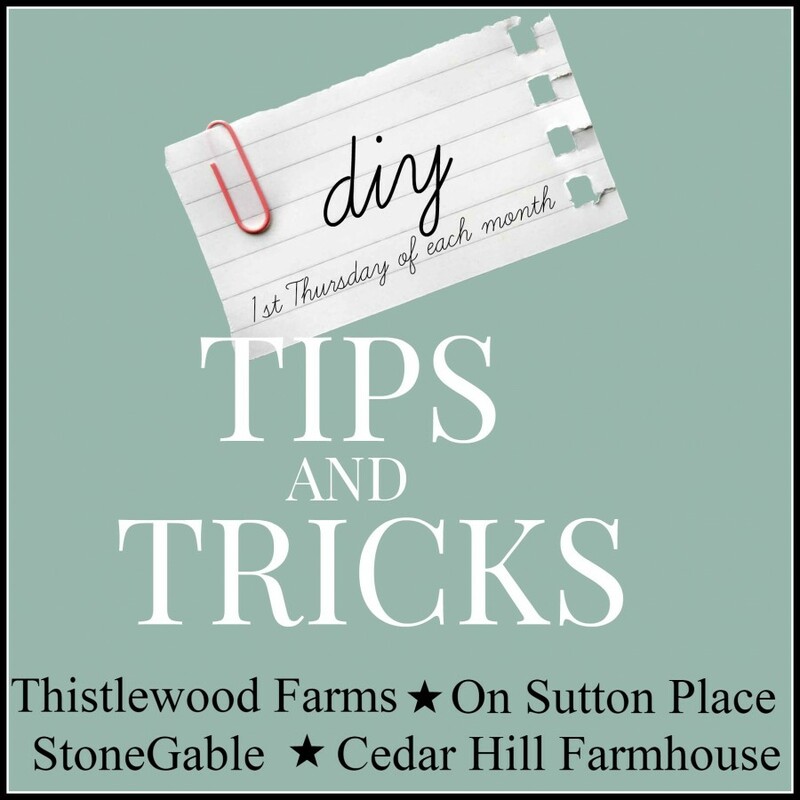 To see an easy and detailed tutorial for covering books, click HERE. And since we are talking about burlap, let’s talk about TEXTURE. #2 TEXTURE Texture is the visual feel of a surface.We can “feel” rough, slimy, bumpy, smooth, shiny, course, sticky, prickly and so not only with our skin, but with our eyes too! 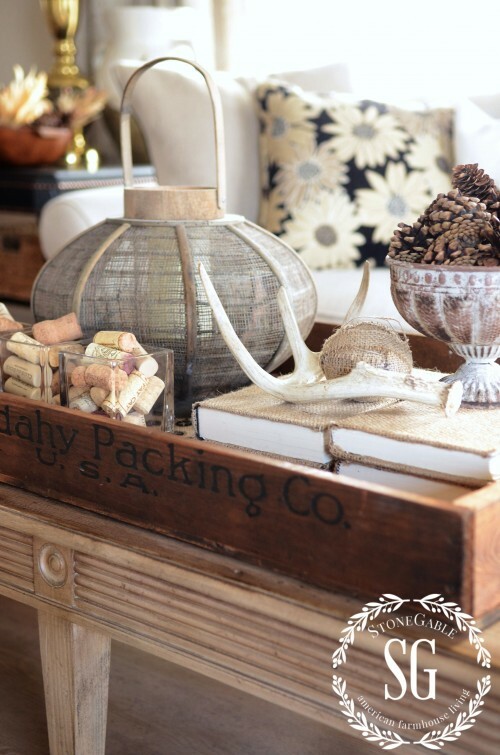 A great vignette in a tray combines several textures. Can you see rough, bumpy, prickly, smooth and hard in this picture? And can you see varying HEIGHTS? The next tip is to vary the heights of things in your tray! All one or two levels is boring!!! This tray vignette is relatively low,yet there are many different heights within its composition. When we vary heights our eye bounces from one thing to another! Again, making eyes happy! I think it’s also important to add something ORGANIC to a vignette. 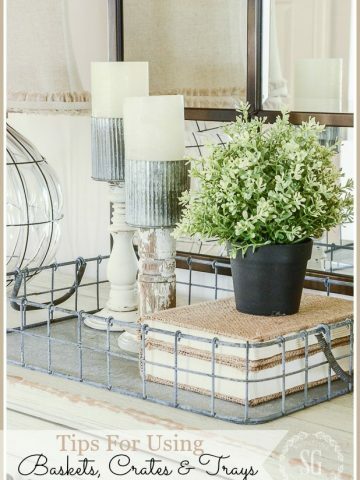 Something living or plant-like instantly makes a tray vignette come to life! 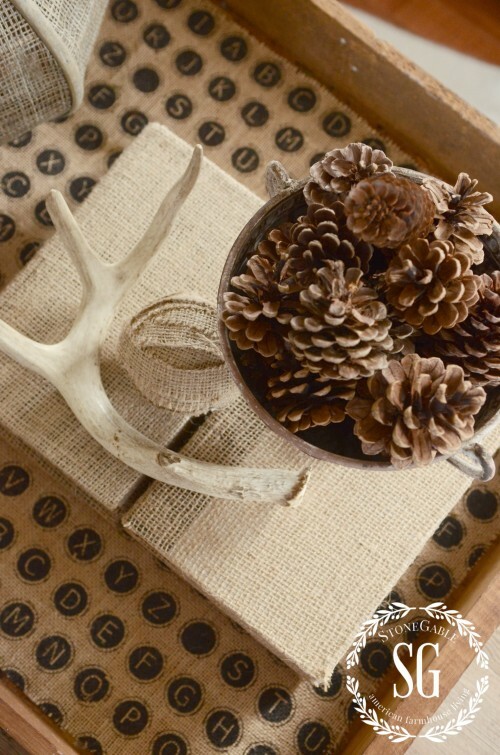 I used pinecones because they are organic and neutral… and prickly and can mounded up high! Now let’s add a little SPARKLE or bling! Every tray deserves a little spark! I’m adding a woven lantern, a gift from my sister! It is neutral, tall, rough and nubby and gives off the most beautiful mosiac-of-a-glow! Now that I have said all that… the most important rule is… YOU NEED TO LOVE IT. 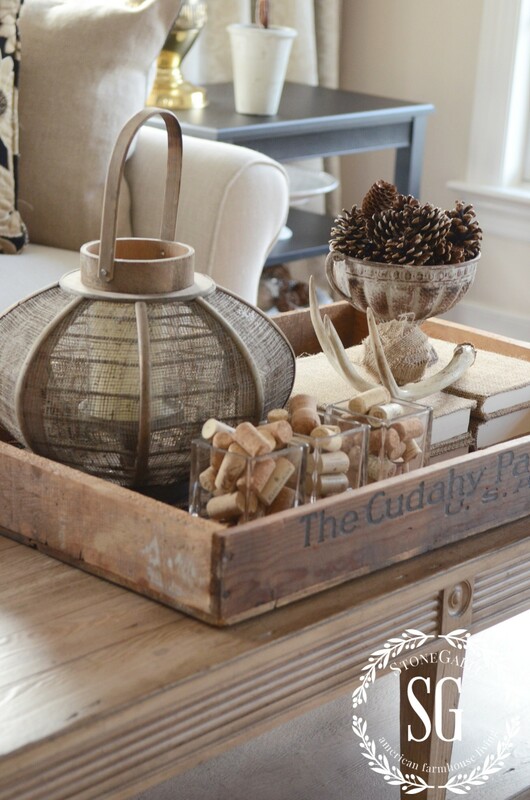 Tips and tricks are just time-tested ways people have found success in making a tray vignette look fabulous! The real tip is to create something you love! Can you think of all the possibilities? Lots of tray options and lots of things to put in it to make your home styled like a pro… and the pro is YOU! Make sure to visit my wonderful blogging friend and all their WORKING WITH TRAYS posts! Remember to pin this to your DECORATING or TIPS Pinterest board. You can follow me on Pinterest HERE and see what I’m pinning. And follow me on Facebook HERE to see more great post and other fun “stuff”! 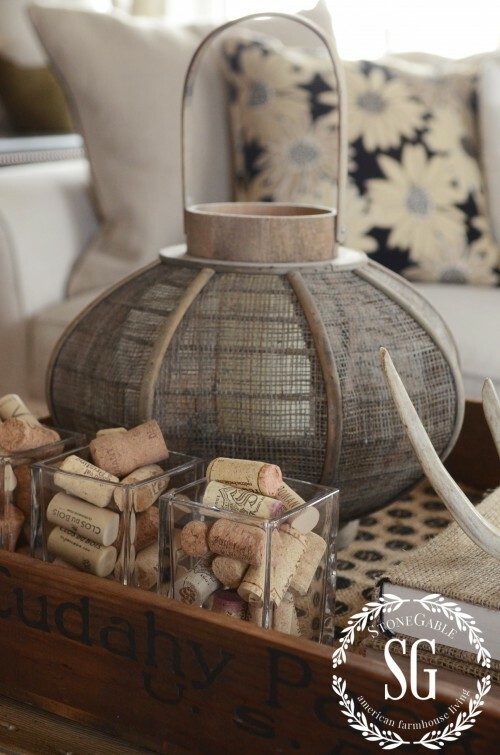 Love your metal urn and your advise about not spending a lot of $$. I love the antler! 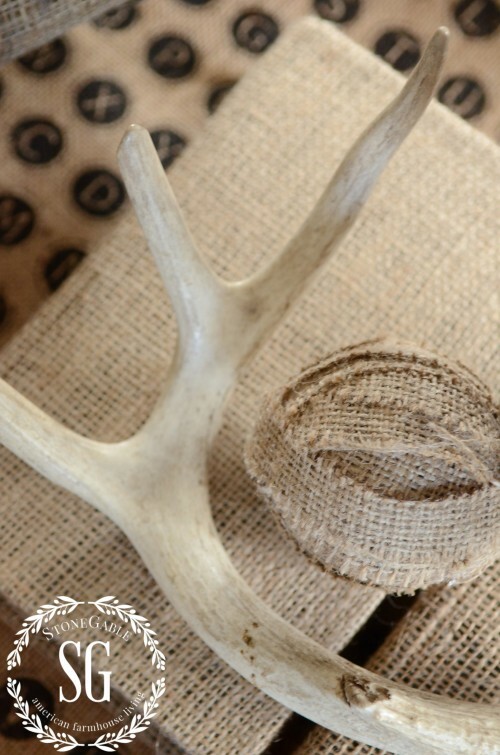 I love antlers all year but especially in the cooler months. This looks so homey and comfortable! Thank you for sharing your creativity and teaching us! Love love your blog!! I agree with what Jane said! YOU and your blog … overflowing with witty and wonderful ideas … delightful, just delightful … thank you … you make my heart smile ! I love the way your describe feeling texture with the eyes. Perfect tips! 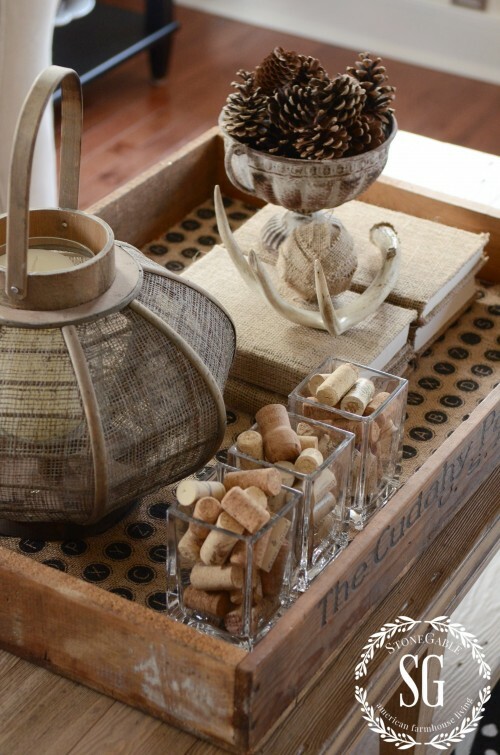 I love trays too, they are truly wonderful for creating and displaying items of any kind. Loved all your pictures and your use of burlap. So inspiring!! Yvonne you said it perfectly…trays really are magic! Lovely post and amazing photos. I have started using more of my trays so i am glad to get these post for help. Thanks so much. So pretty Yvonne. I cannot believe you ever had a difficult time creating vignettes because you come up with some of the most gorgeous ones I have ever seen! Thank you so much for the tips and have a great day! Good question. We have twin granddaughters who will be one by Christmas Day. I plan on creating a tray for me and then one of non breakable items with some children’s books, empty plastic water bottles filled with jingle bells (lids glued on!) stuffed animals and I’m not sure what else. Exactly what you said….something so we don’t have to say “no touching”. Yvonne, any ideas of what else to put in the trays? Love your blog and all your ideas. Love all your ideas with working with trays and the different alternatives to make your own tray! Thanks for your expertise! Yvonne, I love all of your layers and textures. You did an awesome job explaining it all too. Oh my favorite! 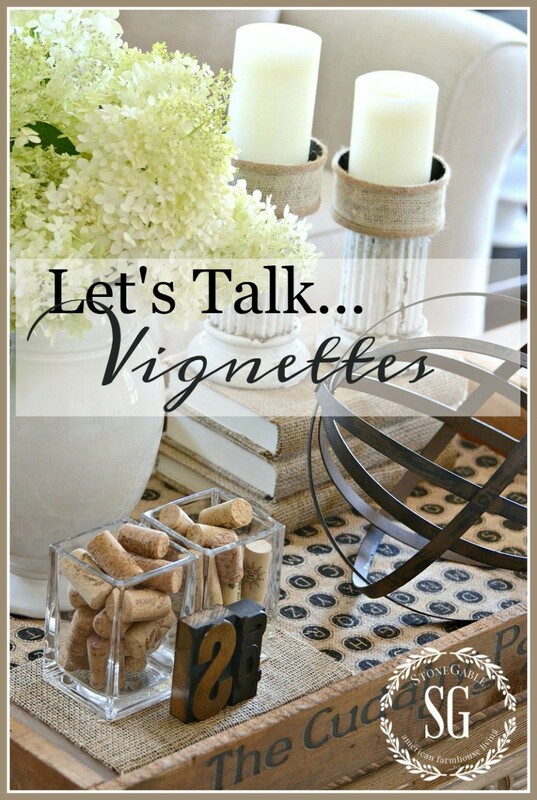 My favorite ideas from you are your tablescapes & vignettes! Since I started following your blog, I’ve collected three beautiful trays (two from Home Goods and one from Target) and have vignettes in my kitchen and one in my bedroom! These are great tips, and you don’t have to spend a lot of money by using what you already have. 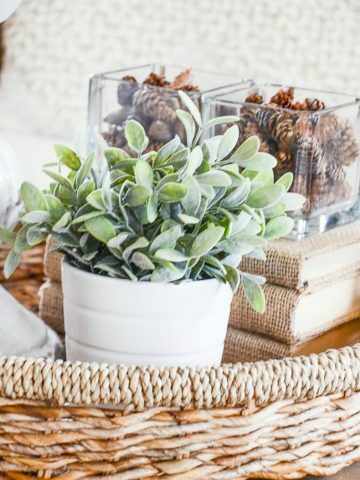 I’ve stacked my white dishes, and love to add some sort of faux greenery for softness and “fluff”, and the one on my kitchen table of course gets changed for the seasons. It’s just FUN FUN FUN! Great topic and tips. You inspire me so much I went and found my wicker tray and started layering. Your pics and tips were a great help. Thanks so much. 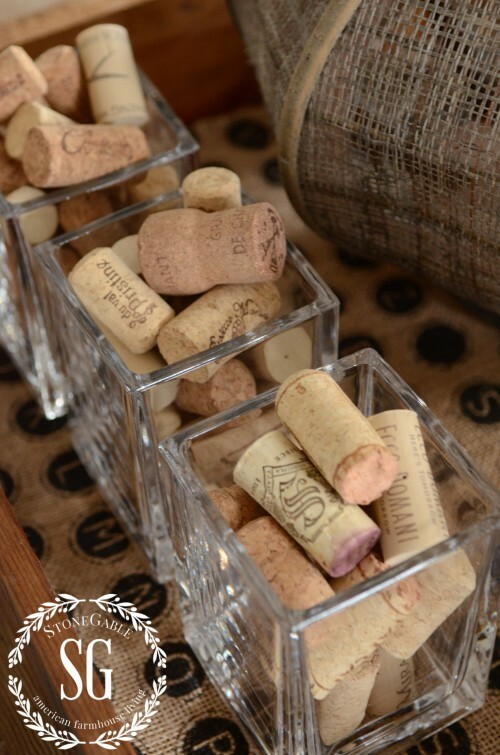 Loving your layering technique…..but you had me at the CORKS!!!!!!!!!!!! Sooooo pretty Yvonne!! 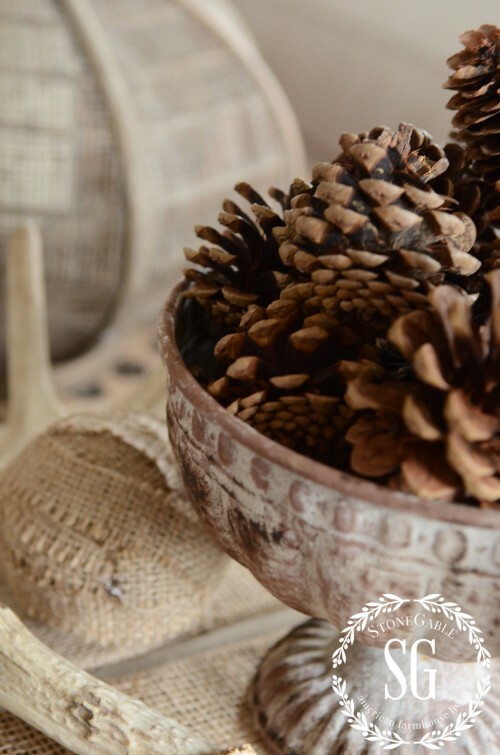 I love the pinecones in the metal urn! Great tips, Yvonne. I don’t know what I’d do without trays – they are all over the house, even on the beds in the guest rooms. I just bought a box of old books and can’t wait to rip off the covers and make a stack for my living room coffee table tray. 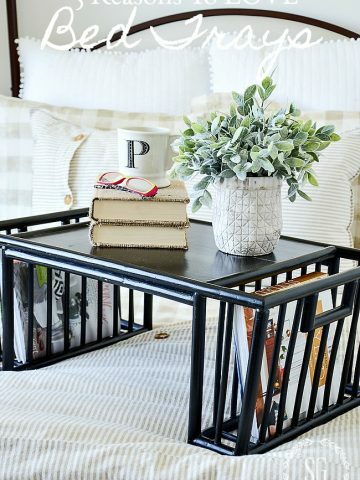 How do you use a tray with a huge coffee table? I recently bought a Yankee Girl amtique tray that I love and would like to use it on the coffee table. Unfortunately the table just dwarfs it! Hi Jody! Great question! I’d get a bigger tray or crate like the one I’m using to day or add a grouping of candles or big pottery outside the tray to balance it on the coffee table! Hope this helps!